Brock CareerZone Blog: Introducing . . .
Greetings! This is Ashley and Brittany, your new career blogging friends! We just wanted to take this opportunity to introduce ourselves, and to also introduce the variety of things we've got planned for the Career Services Blog this summer! How the Career Resource Centre Helped: By making her aware of the opportunities that are available in her field and by helping her organize her varying career aspirations and ideas into realities. How the Career Resource Centre Helped: The variety of resources available in the centre quieted her anxieties about teaching prospects, and opened her eyes to the possibility of alternatives to in-school teaching, and to the prospect of teaching abroad! She also learned a lot about the various programs Brock has to offer, and has spiked a newfound interest in Linguistics! We'll be touching on the four steps of the Career Planning Process, from self-assessment to researching career prospects, to the decision-making process and finally on to what it means to take action! Here in the Career Resource Centre we can guide you no matter what stage of the process you are in, and we encourage you to check out the Career Planning section of our website for some valuable tips as well! First, a BIG congratulations to everyone who completed their final exams/essays/assignments/presentations/etc! You did it! You're finally done! But what comes now? In June you'll be getting that diploma and you should also be checking out our blogs for some next steps for what to do after school ends, and before the next stage of your life begins! We'll be providing tips for using social media and networking in the job search process, alternatives to joining the workforce right away, as well as 10 things all new grads should know. June is a hot month for you to be following us, no matter what year you're in! In August, there's a lot of new things going on. New resources, the newsletter comes out, new training program to plan for the new Career Assistants, and onto another new school year! We'll be blogging to remind you about all of these things, and any other news that pops up! That's it for now! 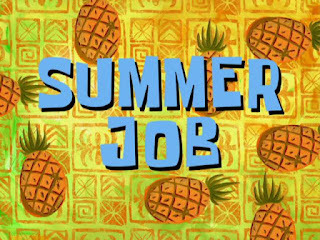 Hope your summer has been good to you so far, that you're all happily employed, or enjoying some awesome adventure somewhere! Don't forget to stop by the Career Resource Centre for any job search inquiries, or for a resume or cover letter review to land that summer or fall position. 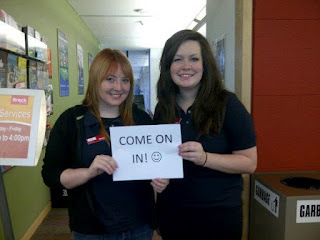 We're always happy to help you out :) Our summer hours are Monday-Friday, 9am-4pm.